James Mitchell appeared in more than 300 episodes of "All My Children." 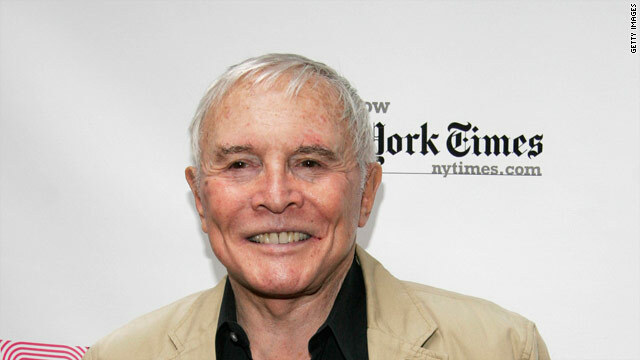 (CNN) -- James Mitchell, the stage actor and dancer who was best known for portraying wealthy patriarch Palmer Cortlandt on the soap opera "All My Children" for nearly 30 years, died Friday at age 89. Mitchell died of pneumonia contracted after a years-long battle with pulmonary disease, according to a statement released by ABC. His final appearance was January 5 for the show's 40th anniversary episode. Mitchell had studied drama at Los Angeles City College in California. After receiving a degree, he joined a Los Angeles dance company, where he worked for four years before moving to New York to try starting his own dance company. As he struggled to make it as a professional dancer, Mitchell appeared in many Broadway productions including "Brigadoon," "Paint Your Wagon" and "Bloomer Girl." He also taught movement for actors at Juilliard, Yale and Drake University in Iowa. He took on the role of villainous businessman Cortlandt in 1979. He appeared in more than 300 episodes of the soap opera and was a regular on the show until 2008. Fans expressed their condolences over Twitter and on "All my Children" message boards Monday morning, remembering Mitchell and his character as feisty and legendary. He is survived by his partner, Albert Wolsky. Memorial services will be at a later date.